As a full–service general contractor, we are well equipped to act as the single point of contact for all of your building needs. In an effort to streamline the entire process, our architectural support team works hand–in–hand with our construction team ensuring that your plans are executed smoothly and efficiently. We have the capacity to handle every aspect of the job including design, engineering, permits, estimating, project management, construction, and sub–contractors. Rest assured, our team of qualified professionals is committed to providing you with the highest level of quality, accountability and customer satisfaction possible. Serving both the residential and commercial communities, Dawson & Clinton’s portfolio of services include architectural support, preconstruction, remodels, renovations, additions, and new development. Dawson + Clinton is a member of the following organizations: The National Association of the Remodeling Industry (NARI), The American Institute of Architects (AIA), The U.S. Green Building Council, and Build It Green. As part of our commitment to sustainable building methods, Dawson & Clinton is also LEED accredited. 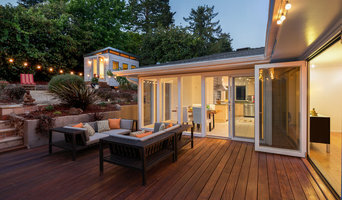 "WE PROVIDE CUSTOMIZED SOLUTIONS FROM FOUNDATION TO FINISH" CHRISTENSEN CONSTRUCTION is a GC in Southern Marin County who specializes in High-end Custom-Architectural Design work & unique situations. Brian shines in all aspects of fine woodworking, finishes and design. He is a Master at tricky details & problem solving...and is extremely conscious of the needs of his Clients! Brian completed his College degree at UC Santa Barbara and CU Boulder with a Major in Environmental Studies. He also has a degree from Hastings Law School, SF, (Member of the CA Bar Association), and also holds a CA Real Estate License. His environmentally-conscious background is reflected in his work and his organization of the projects and building sites - as he practices green building. His ethics and community contributions are visible through his coaching within the Mill Valley Schools and local Sports Teams & Leagues. He has supported his Daughter's soccer, softball, and volleyball teams for MV Soccer Club, MV Girls Softball & CYO Volleyball. Christensen Construction is a Business Partner to 'Kiddo' > the Mill Valley School's Non-profit organization. We are a design/build residential remodeling company providing full design and remodeling services for projects ranging from powder bathrooms to whole-house remodels and additions. One Sky Homes is dedicated to High Performance Living. We are a Design + Build firm focussed exclusively on creating the healthiest, most comfortable and energy efficient homes in the SF Bay Area. Our award-winning work has been recognized locally, nationally and internationally. We built the first Certified Net Zero Energy new home in California and received the 2014 US Department of Energy Grand Prize Award in the Custom Builder category. We love what we do here at One Sky Homes. Our passion is for good design, extreme comfort and high performance keeps us going. That, and GREAT clients. Sara Jorgensen - Harrell Remodeling. Inc.
General Contractor, Professional Craftsman, and modern design. All phases of construction. P3 Construction & Remodeling, Inc.
P3 is a full service design and construction firm. We specialize in affordable home design and concept-to-finish project management. Whether it’s a bathroom remodel or a complete renovation, P3 treats every job with the same meticulous attention to detail. We pride ourselves on delivering high quality work within budget and on time, so you can enjoy your new home as soon as possible. Ochs Design embodies taste, quality and imagination. From lush opulence to sleek minimalism, Ochs Design creates artistic interiors imbued with a sophisticated and sensual style. MAC Architecture | Construction is based in Palo Alto and specializes in single-family residential Architecture and Construction. We’re published nationally and recognized locally for diverse styles of Architecture and custom quality Construction. 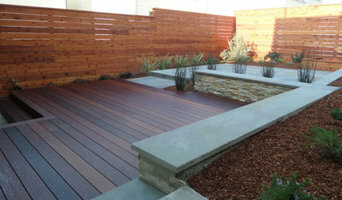 Established in 1997, we’ve completed projects located throughout the San Francisco Peninsula. “It’s with thoughtful design and lots of love that we can make homes that move us to reconnect with ourselves, our families and our communities. Architecture not only serves to outline our environment, but more importantly invigorate our senses, our emotions, and ultimately - our dreams.” - Michael Chacon Our firm’s collaborative approach to all projects begins with the you and your vision, and continues with Construction consideration throughout the Architectural design process. In turn, we continually focus on the design intent throughout the Construction phase. As a licensed architect and licensed contractor, our firm utilizes 3D CAD to provide a stream of Design | Construction information throughout the process. This enables you to visualize the design (early in the process) and to make informed design / cost decisions. Should you consider design modifications during construction, 3D visualization is presented along with costing information. This methodical approach to Architecture | Construction is the foundation of our service and allows us creatively explore design solutions for your project. Contact us for a no-cost, no-obligation introductory meeting. We welcome an opportunity to meet with you and learn about your project and how our unique project approach can benefit you. We have over 25 years of experience working on a wide range of project types and have the ability to provide our magical creative skills on small as well as very large, complex projects. Lisa Sten - Harrell Remodeling, Inc.
Lisa’s ability to interpret and design to her clients’ needs in addition to her awareness of diverse architectural styles brings a depth of knowledge and experience to Harrell Remodeling’s design/build team. The most important and exciting phase of any design project is the initial space-planning and conceptual design, Lisa comments. After resolving the greater challenge of creating the most workable design, the endless list of fine details fall into place easily. From a single room to whole house remodels with additions, Lisa has guided private, commercial and public-sector clients in accomplishing architectural designs and construction objectives. From focused front-end interviews to helping clients refine how they want their space to look, feel, and perform, Lisa’s work focuses on her customer’s goals and style preferences. Lisa’s work and dedication to design excellence has been recognized repeatedly by local and regional NARI awards, National CotY awards, National Chrysalis Awards, NKBA and other professional design associations. 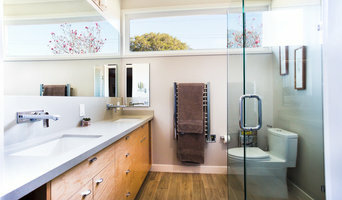 Several projects including her Minneapolis residence and custom furniture designs have been featured in Home Ideas, Better Homes and Gardens, Palo Alto Weekly, Los Altos Town Crier, South Bay Accents, Gentry, M Magazine, and several Sunset books. Lisa has written insightful articles on design for Fine Homebuilding, San Jose Magazine, Today’s Home and other publications. Previously, Lisa co-owned a Minneapolis-based design company that had the opportunity among other engagements to work on the design project management of restoration of the Washington Monument. She holds an Interior Design degree from Paier College of Art in Hamden, CT and a B.A. from Boston College. Lisa is credentialed as a Certified Interior Designer (CID), Universal Design Certified Professional (UDCP) and Certified Green Building Professional (CGBP). In her spare time, Lisa enjoys hiking, skiing, Chinese Calligraphy and baking artisan bread and bagels for her friends and family! Davis & Associates is a complete Design and Build firm specializing in building and remodeling fine custom homes. As both licensed architects and general contractors, we expertly complete all aspects of your project from design through construction.